Brink. So Weird. Toy Story. The Princess Diaries. The year 2001. What do all these things have in common? Erik von Detten. He was absolutely perfect crush worthy material in the late 1990s and early 2000s. He had the hair. He was funny. He had the very 2002 desirable skater/surfer boy vibe, and wore those white shell choker necklaces that were all the rage. You watched him on TV, and in the movies, and admit it, you would have snuck away with him to that shack by the beach, just like Princess Mia did once, and it’s still a shame her foot didn’t pop. But like all teenage heartthrobs, his star could not burn bright forever. According to his IMDB, his last known movie role was a 2005 indie film, his last appearance on TV was on Bones in 2008, and the last time he popped up anywhere was in Toy Story 3, once again reprising his role was as jerk-next-door, Sid. That was 2010. The year is 2016. 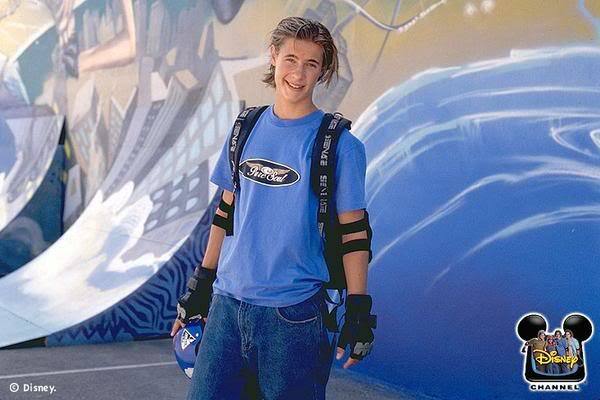 Where the heck is Erik von Detten? A quick google search will turn up nothing, because trust me, we looked. But, we here at HelloGiggles will not rest until we’ve uncovered our long-lost teenage love, and after many more hours googling (seriously, hours) YOU GUYS, we found him again. So drumroll, please, because what does Erik von Detten look like in the year 2016? Rest easy, because he looks exactly the same. He’s got some sort of Paul Rudd voodoo going on here. Now we’ve gotta admit that information about him is actually very scarce. It’s clear from the lack of IMDB credits that von Detten has left Hollywood behind maybe not forever, but at least for right now. According to the Erik von Detten Facebook profile we dug up, he’s working for Rosland Capital as a broker. But since we can’t ~truly~ confirm it’s his official Facebook, we can’t confirm this is his job now, either. This means that Erik von Detten still remains a little bit of a ~mystery~ and that means we’re swooning over him once again. This lovely lady we keep seeing in the pictures is von Detten’s sister, and it’s clear that the two are very close. Still need more? Here he is rocking that really great bright orange shirt again. And trying to chew his Easter meal clad in a perfect white t-shirt, that’s Detten. Got that 2001 schoolgirl-crush feeling back? Same here. Though von Detten isn’t all over the Disney Channel anymore, clearly, he’s going to be forever in our hearts.